Fans of Puerto Rican cooking might recognize mofongo as the garlic-laden fried plantain balls, but the South American spin put on mofongo at Mi Ecuador Juice Bar in East Greenbush means that the plantains and garlic are mixed together with stewed meat (the pollo, or chicken, version was $8.50) and then placed in a dome-shaped mold that seems about the size of a sand castle-building kit item. Everything is cooked in oil, but it's not deep fried. 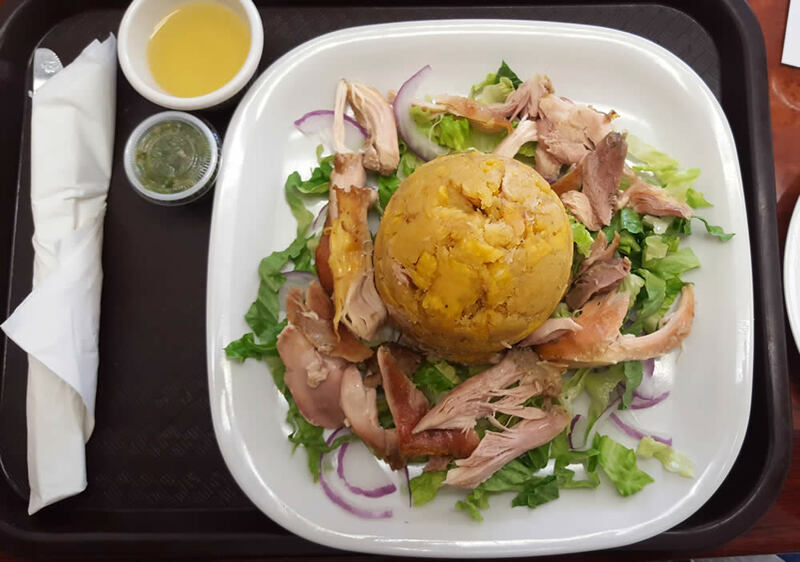 The mofongo comes on a bed of fresh lettuce and red onion, with extra meat formed like a loose wreath around the plantain dome. 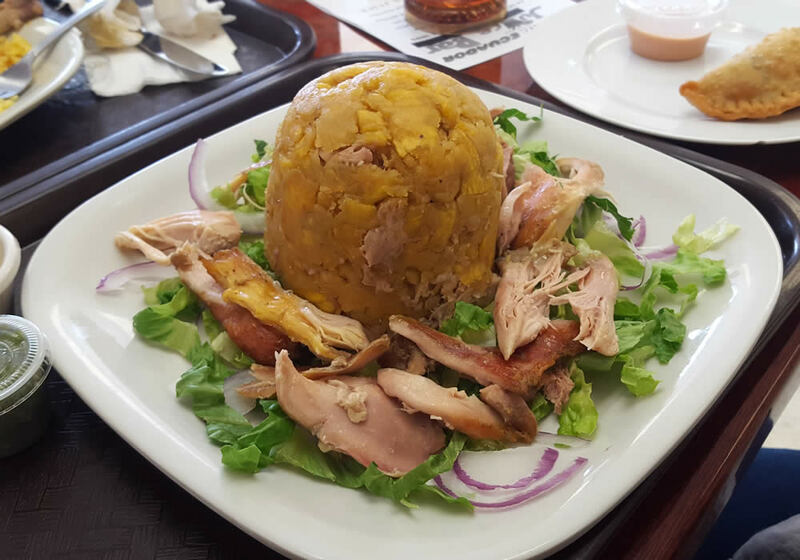 An obelisk of fruity starch, the mofongo is impossible to eat in a delicate manner. It must be smashed and tossed together with the rest of the plate's ingredients to get the full flavor and experience. 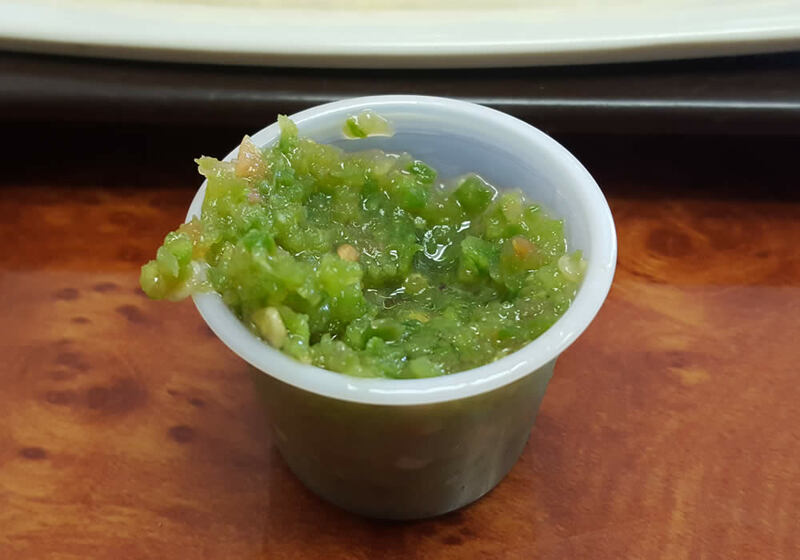 Clarified butter and fresh, chimichurri-style hot sauce are there for your dipping convenience. Dip the mofongo into the clarified butter judiciously; pour the hot sauce on the mofongo with abandon. 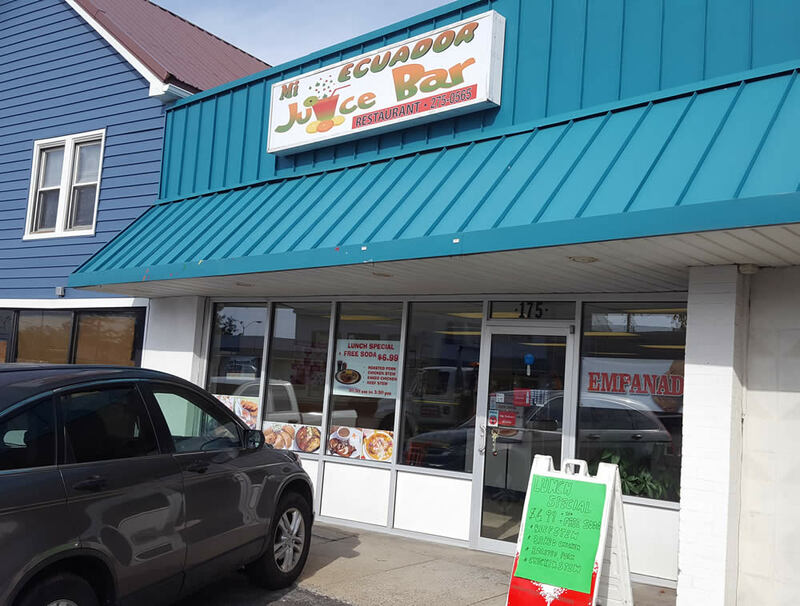 Freshness and flavor are the guiding principles of Ecuador Juice Bar. A full list of juices and smoothies are made to-order from the cold display of prepared fruit that greets visitors as they enter the restaurant, which is located in an otherwise-overlooked strip of storefronts and apartments on Route 20. 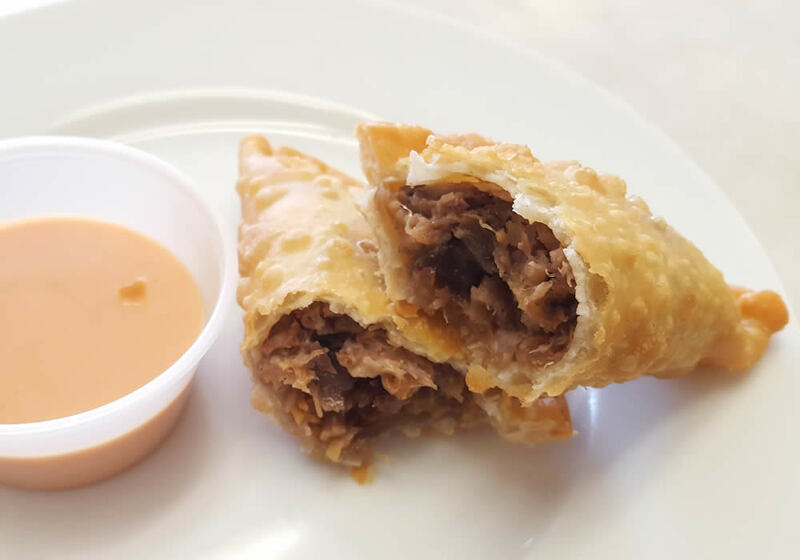 Those principles carried through with a fried pork empanada. (Wonderful in every way except for the Special Sauce-style spread that accompanied it. Very saccharine like coconut cream-spiked ketchup.) 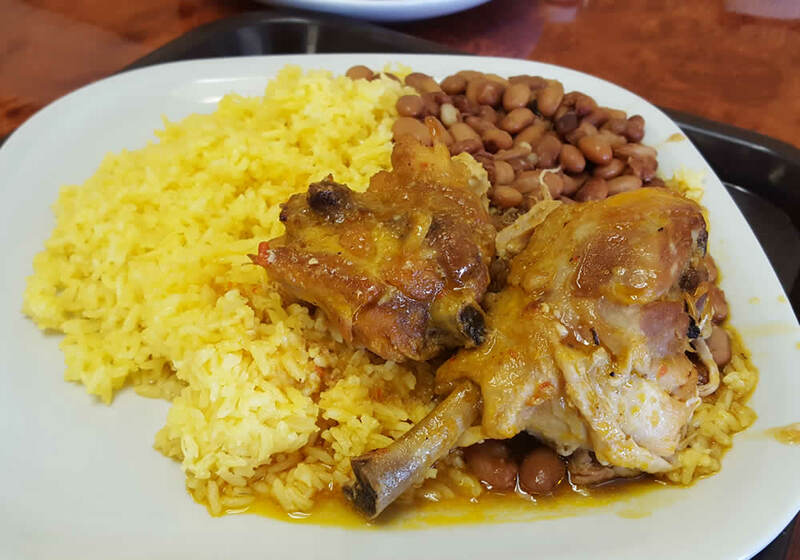 And the stewed chicken lunch special is a steal at $6.99 -- it's a South American version of a meat-and-two plate and came with seasoned rice and a choice of black or pinto beans. 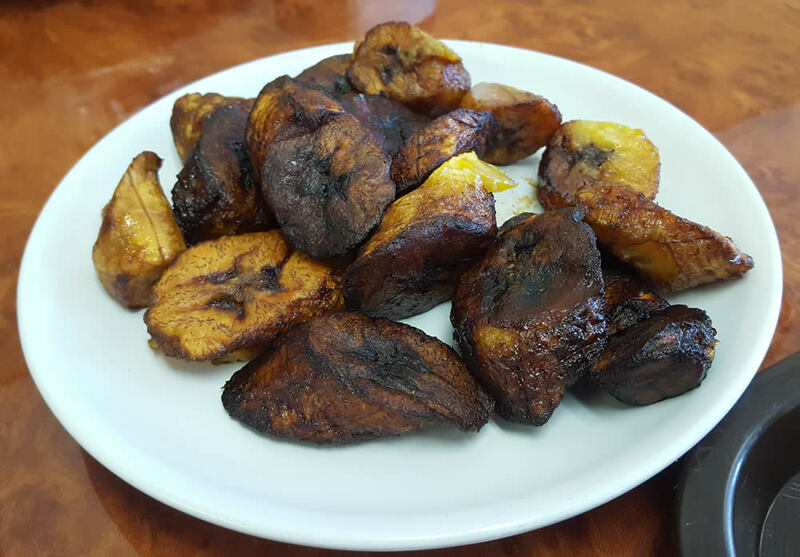 A side of sweet plantains ($2.50) served as both appetizer and dessert for two people. If you plan to visit Mi Ecuador, look for the Caribbean-blue tin roof and brilliant white facade, conveying that tropical feeling before ever stepping in the door. Walk in with an open mind (especially when it comes to the compacted, shaped mofongo) and leave transported to a sunnier locale, if only in flavor. This place is really just amazing. Although touted in its name as a "Juice Bar", it is WAY more. No matter what you get, it is expertly cooked (Baked chicken that falls off the bone? Come on. ), generously portioned, and NOT overly salted (you can add your own if you so desire), which is something that plagues me at most other South American establishments. On top of it all, you are greeted by some of the nicest people, I'm convinced, on the planet.